Please allow me to share this beautiful song. It means so much just now. 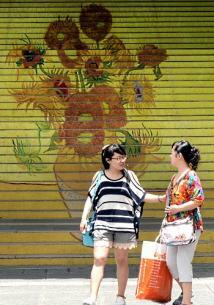 At the entrance of Ocean Terminal in Hong Kong, these stairs feature a five-metre-high reproduction of Vincent Van Gogh’s signature painting “Sunflowers”. 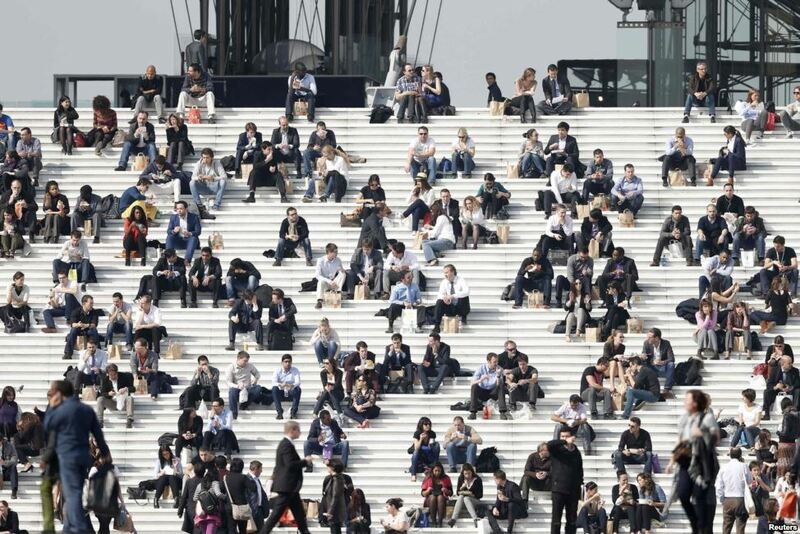 Office workers enjoy good weather at lunch time perched on the steps of the ‘Arche de la Défense’ in the business district to the west of Paris. Zadar could easily coast on its history, its museum of ancient glass or its archaeological museum, but it doesn’t. A few years ago, wanting to improve its pier for cruise-ship passengers, a local architect had the brilliant idea of installing organ-style pipes under the concrete steps leading down to the water. When waves hit the 35 pipes of varying sizes, air is pushed through, creating musical notes. 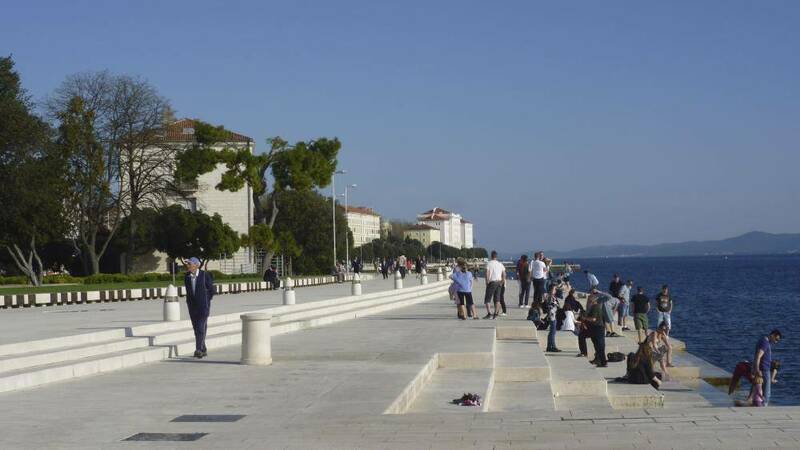 The Sea Organ shared the European Prize for Urban Public Space in 2006. Since then, solar panels have been installed to even greater effect. At night, the installation – called Greeting to the Sun – lights up underfoot, synchronized to music from the Sea Organ. 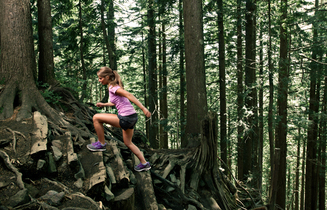 The Grouse Grind® is a 2.9-kilometre trail up the face of Grouse Mountain. Those who climb its 2,830 stairs start from 274 metres above sea level (900 feet) to 1,127 metres (3,700 feet) at its summit. The Incas, masterful builders and architects, were fascinated by stairs. Their temples looked like giant staircases and they farmed on an elaborate terrace system. They invented ‘floating stairs’ enabling them to climb the steep mountain walls. 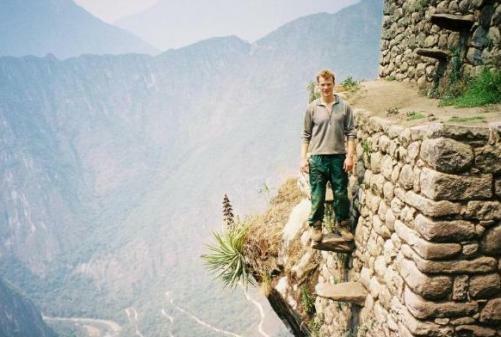 Imagine the Inca people swiftly and nimbly moving up or down on slabs they had inserted into the wall. No handrail, of course.